Kamal Mammadzada is a partner in Dentons' Baku office. He has extensive experience in corporate, privatisation, banking & finance, and securities law. Kamal's work has involved advising on company management and corporate governance, the structuring of transactions, foreign investment, financings and other matters. Pool of International Creditors: A Dentons’ multi-office team at Dentons represented a pool of leading international financial institutions as creditors to AccessBank, one of the leading commercial banks in Azerbaijan, in successful debt recapitalization of the bank valued at US$108 Million in Tier I, Tier II, and contingency capital. The transaction perfectly illustrates Dentons’ ability to assemble a deep pool of talent in CIS/CEE restructuring and leading local regulatory expertise. Valued at over US$100 million, the deal represents the second largest recapitalization and restructuring in the history of the Azerbaijani financial sector. Advised the lenders’ steering committee on all aspects of the transaction under Azerbaijani law, negotiated with the bank and its shareholders, prepared an innovative restructuring and recapitalization plan, and obtained all required regulatory approvals from the Financial Market Supervisory Authority of the Republic of Azerbaijan, drafted and negotiated all underlying Azerbaijani law agreements, and implemented all aspects of this complex restructuring. Pasha Bank: Advising a leading investment and corporate bank in Azerbaijan, on the Azerbaijani law governed US$15 million unsecured syndicated loan facility first lending transaction of kind in Azerbaijan, including drafting the cutting-edge bilingual precedent in a fast-changing legal environment, as well as negotiating the terms of the transaction among multiple parties to bring the deal to a successful closing. Leading Regional Telecom Company: Assisted in the sale of the majority stake in a leading telecoms company by the state-owned telecoms company. Leading asset managers: Representing a pool of international creditors in a non-judicial restructuring of debts of a local financial institution. Major local company: Advising on Azerbaijani law matters related to the financing of an export contract by and between an Azerbaijani privately held oil company and a German offshore drilling equipment manufacturer. Société Générale: Advising on the matter of Azerbaijani and English in connection with issuing the validity and enforceability legal opinions under Azerbaijani and English law in relation to a State Guarantee issued under a loan facility in the amount of EUR 300,000,000. Bayerische Landesbank: Advising in connection with a validity and enforceability legal opinion under English and Azerbaijani law in relation to a State Guarantee under a credit facility in the amount of EUR 295,000,000. European Investment Bank: Advising on a EUR20,000,000 million financing of small- to medium-size enterprises (SMEs) throughout Azerbaijan. FCE BANK PLC: Issuing legal opinions in relation to a Wholesale Finance Facility Financing covered by a Corporate Guarantee to be extended to an Azerbaijani auto dealer. Denizbank A.S.: Advising on Azerbaijani law issues related to surety agreements by individual and corporate sureties. European Investment Bank: Advising on a €50 million loan to the International Bank of Azerbaijan (IBA), the largest bank in Azerbaijan, to finance projects promoted by SMEs and midcaps. The loan corresponds to the objectives of the EIB’s mandate for lending outside the EU, which focuses on the development of the local private sector, in particular support to SMEs, social and economic infrastructure and climate change mitigation and adaptation. A leading Russian bank: Advising on the establishment and perfection of a mortgage over commercial property, including corporate and property due diligence of the local pledgor in Azerbaijan, in connection with a loan to be granted by the Russian bank to the borrower in the Russian Federation. Goldman Sachs International: Advising on Azerbaijani law issues in connection with a financing of SOCAR's Turkish subsidiary, based on an equity transaction with a put option, valued at US$1.3 billion. Major local group of companies: Advising on the establishment of a non-governmental organization in the form of a fund in Azerbaijan and advising on activities in the US. GoldenPay: Advising on the first planned IPO for this company, which will be listed on the Baku Stock Exchange. This high profile matter will be the first IPO on the Baku Stock Exchange, representing pioneering and ground-breaking work in the capital markets sector of Azerbaijan. A leading mobile network operator from Azerbaijan: Advising on a proposed combination of mobile network assets, including advice on a commercial agreement and a shareholders agreement. A local construction company: Advising on hospital management services for a proposed healthcare facility in Georgia. A global pharmaceutical products producer: Successfully defending the client in a major debt recovery case against a distributor in Azerbaijan, including proceedings in the Baku International Arbitration Court. A leading Russia based investment fund: Assisting with the restructuring of financing by a banking institution situated in Kazakhstan. A large Western banking group: Advising on a loan of USD 25,000,000 to one of the largest banks in Azerbaijan, including negotiations and the preparation of the transaction documents. Financial services providers / Investment Funds / Investment Banks: Advising on the enforceability of ISDA Master Agreements, Global Master Repurchase Agreements and Global Master Securities Lending Agreements, as well as related collateral arrangements under the laws of Azerbaijan and Kazakhstan, including the preparation of legal opinions on the enforceability of the relevant documentation in Azerbaijan and Kazakhstan. The Government of Azerbaijan: Advising on the proposed privatization of the 50.2 percent state-owned shares in the capital of The International Bank of Azerbaijan. The International Bank of Azerbaijan: Advising on the establishment of an Islamic banking unit. Islamic Corporation for The Development of Private Sector: Advising on a palladium commodity Murabaha with the International Bank of Azerbaijan, including advice on legislative requirements and transaction documents. Azerbaijan International Mineral Resources Operating Company: Due diligence on AIMROC’s compliance with the provisions of a Production Sharing Agreement. 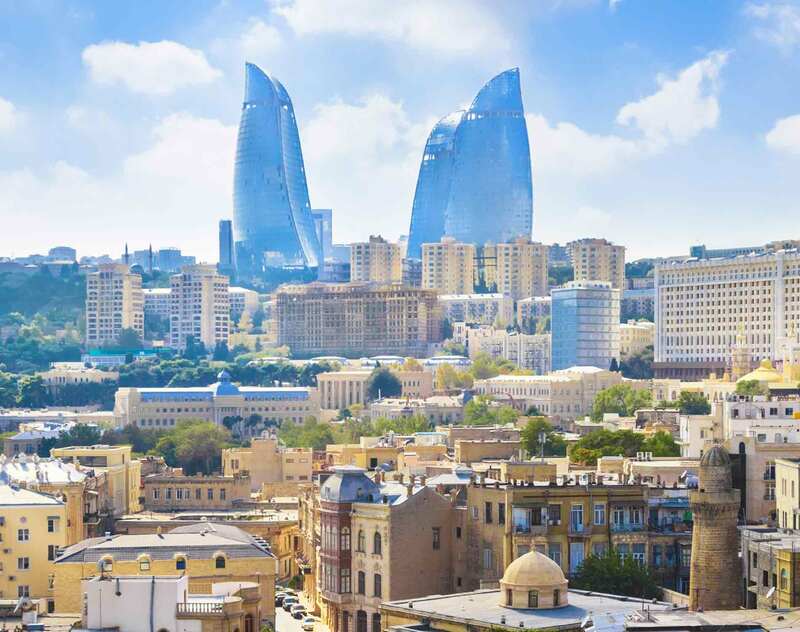 A local holding in Azerbaijan: Advising on the restructuring of operations and the transfer of holding structures outside of Azerbaijan, including corporate and tax advice and liaison with advisors from several other jurisdictions for the optimization of business structures. Islamic Corporation for The Development of Private Sector: Advising on the establishment of the first Takaful Company (an Islamic insurance company) in Azerbaijan. Leading Kazakhstan-based company operating in the sector of developing mineral resources: Advising on a number of loans from Western European banks, including providing advice under the laws of Kazakhstan on the financing structure, documents and the enforceability of financing documents (total amount of loans in excess of US$4 billion). A leading mining company with major operations in Kazakhstan: Advising on a US$2.7 billion loan from the China Development Bank for the expansion of production facilities in Kazakhstan. A major international construction materials company: Advising on site acquisition, acquisition of a legal entity and a project for the establishment of a Greenfield manufacturing plant in Azerbaijan. Kamal has been continuously recognized as a “Leading Individual” by The Legal 500 EMEA, ranked Band 1 in General Business Law by Chambers Global and Chambers Asia Pacific and recommended as a Leading Lawyer in “Financial and Corporate” and “ Energy and infrastructure” by the IFLR1000 - The Guide to the World’s Leading Financial Law Firms. 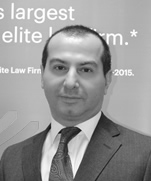 He has also been recognized by The Best Lawyers in Azerbaijan (2017-18 and 2019 Editions) in Banking and Finance Law and Corporate and M&A Law. In addition, 2018 edition of IFLR1000 has endorsed Kamal as a “Highly regarded” for Azerbaijan in Banking, Energy and infrastructure, M&A, Project development, Project finance, Restructuring and insolvency. The Legal 500 EMEA 2019: Leading Individual in Legal Market Overview in Azerbaijan. Chambers Asia-Pacific & Chambers Global 2019: Ranked Band 1 in General Business Law in Azerbaijan; "very strong lawyer," a client reports. IFRL1000 2019: Ranked as Highly regarded Lawyer in Restructuring and insolvency, Project development, Banking, Project finance, M&A in Azerbaijan. Best Lawyers 2019 edition: Recommended in Banking and Finance Law, Corporate and M&A Law for Azerbaijan. The Legal 500 EMEA 2018: Leading Individual in Legal Market Overview in Azerbaijan. Chambers Global 2018 & Chambers Asia-Pacific 2018: Ranked Band 1 in General Business Law in Azerbaijan; "He understands the situation and he's always flexible. I also like that he values quality of service, he's a good man," a client reports. IFLR1000 2018: Kamal Mammadzada endorsed as a “Highly regarded” for Azerbaijan in Banking, Energy and infrastructure, M&A, Project development, Project finance, Restructuring and insolvency. The Legal 500 EMEA 2017: Leading Individual in Legal Market Overview in Azerbaijan. Chambers Global 2017 & Chambers Asia-Pacific 2017: Ranked Band 1 in General Business Law in Azerbaijan; described as "contactable around the clock, efficient," and that he "searches for innovative solutions." He also is well versed in Kazakh law, and peers confirm that he "spends a lot of time on Kazakh matters." IFLR1000 2017: Recommended as a Leading Lawyer in “Financial and Corporate” and “ Energy and infrastructure” by the IFLR1000 - The Guide to the World’s Leading Financial Law Firms. Chambers Global 2016 & Chambers Asia-Pacific 2017: Ranked Band 1 in General Business Law in Azerbaijan. IFLR1000 2016: Recommended as a Leading Lawyer in “Financial and Corporate” and “ Energy and infrastructure” by the IFLR1000 - The Guide to the World’s Leading Financial Law Firms. The Legal 500 EMEA 2016: Leading Individual in Legal Market Overview in Azerbaijan. Chambers Global 2015 & Chambers Asia-Pacific 2015: Ranked Band 1 in General Business Law in Azerbaijan. IFLR1000 2015: Recommended as a Leading Lawyer in “Financial and Corporate” and “ Energy and infrastructure” by the IFLR1000 - The Guide to the World’s Leading Financial Law Firms. Best Lawyers 2014/2016: Kamal Mammadzada have been selected by peers for inclusion in the Fourth Edition of Best Lawyers in Azerbaijan in the practice areas of: Banking and Finance Law and Corporate and M&A Law. IFLR1000 2014: Recommended as a Leading Lawyer in “Financial and Corporate” and “ Energy and infrastructure” by the IFLR1000 - The Guide to the World’s Leading Financial Law Firms. Chambers Global 2014 & Chambers Asia-Pacific 2014: Ranked Band 1 in General Business Law in Azerbaijan. “Understanding Regulations for Small and Medium-Size Enterprises” Doing Business Guide 2014, A co-publication of The World Bank and the International Finance Corporation, 1 June 2013.